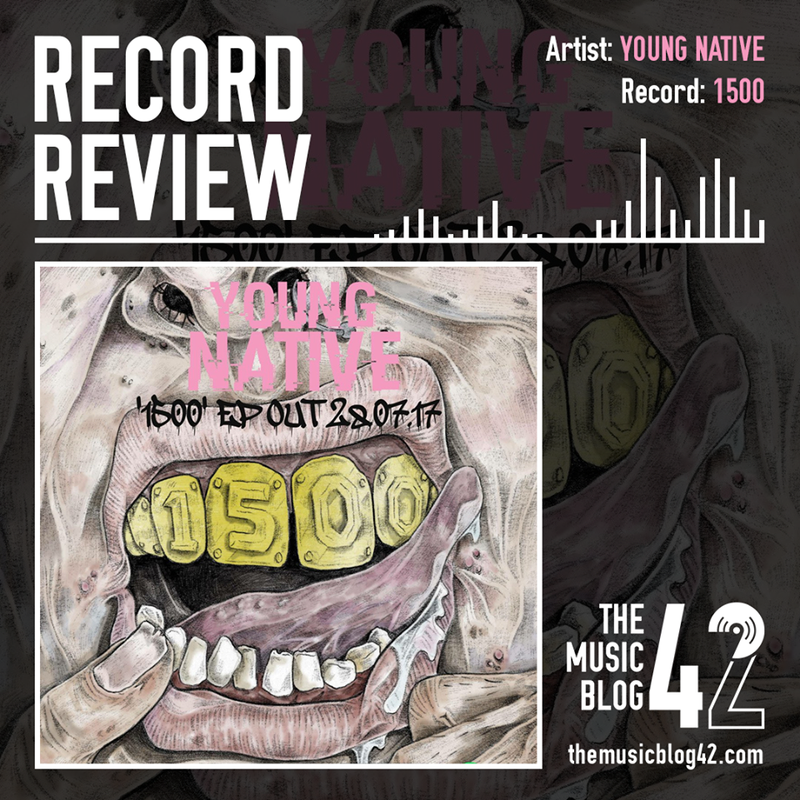 South Londoners Young Native are back with their bold new EP 1500. Having not listened to any of the alt-indie group’s material before the new EP, I was definitely intrigued as to what their sound would be considering the amount of indie bands there are about. And after listening to 1500, they are most definitely one of my favourite upcoming bands. The EP kicks off with the brilliant Peckham Lodge, and I admit, the guitar riff at the start of this track made me weak at the knees. Absolutely excellent stuff. What I love is how unpredicatable the song can pan out, at one second it could be a full-blooded Jamie T-style indie track than it could turn into a chilled, easy jam. See the track Joe Buys A Bottle for example, the best track by far on a strong EP. Though it’s shown on the previously mentioned track, there are definitely a range of influences which can be sensed throughout this EP. Although this is certain to be classed as an indie record, the track Willow shows incandescent reggae-style beats which reflects the similar vocal delivery, very passionate and meaningful. Not to forget the emotive Night Air, a highlight on the EP. It is the only relatively ‘low-key’ track on 1500, though this is a good thing, making it stand out against more of the other more upbeat tracks. 1500 is definitely an EP you need to listen to, very unique and intelligent songs. I’m expecting big things from Young Native over the next few years. The potential is there. And they now have a new fan. Best Tracks: Peckham Lodge, Joe Buys A Bottle. 1500 is OUT NOW! Stream the EP now by clicking here!